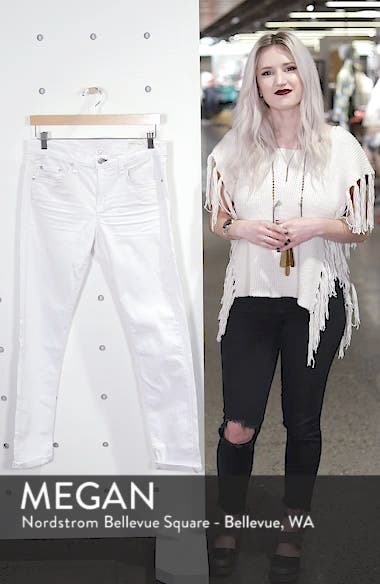 Bright white denim sculpts these ultraslim skinny jeans cleanly styled with tonal topstitching and glints of silvertone hardware. Choose a sizeMid rise. Baggy fit; for a closer fit, order one size down. 24=0, 25=0-2, 26=2, 27=4, 28=6, 29=8, 30=8-10, 31=10, 32=12.